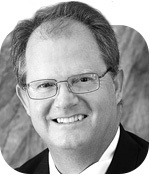 Brian is a partner of Avior Group, LLC. Before Avior Group, Brian spent over four years as the Deployment Director at Six Sigma Academy (SSA) consulting, guiding executives and champions in deploying the Lean Six Sigma methodology. Clients included, Billings Clinic, Citizens Bank R.I. (a subsidiary to RBS), Wellpoint (Anthem), Merrill Lynch, Westinghouse, ConocoPhillips, Alliant Energy, Rhodia P.I., Dominion, and Scholastic to name a few. Brian was responsible for developing many of the deployment infrastructure applications to enhance organizational adaptation of operational excellence methodologies. Before consulting in Lean Six Sigma he worked for Honeywell Int. (AlliedSignal) for 20 years as a manufacturing and quality engineer. Brian was certified as a Master Black Belt for AlliedSignal Engines & Systems in 1998. 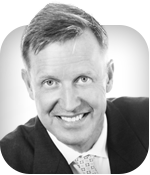 Over the past 12 years Mr. Hemmele has a proven track record as an innovative, results-focused Lean/Master Black Belt with a track record of solving tough problems in support of business goals and objectives. Expertise in helping companies achieve increased business performance through a strategic approach to process improvement in administrative and industrial areas. As a program director he demonstrated significant bottom line savings via leading project teams, training, and mentoring belts through projects with a combined savings totaling over $12 million annually. He has proven to be an innovative problem solver of difficult technical/system problems requiring a creative, yet disciplined approach. His solid leadership skills enable him to guide cross-functional teams through key projects..
Mr. Hemmele’s interest and passion is to leverage his vast experience in Waste and Variation reduction methods and design systems/functions to enhance efficiency and to sustain the gains. The approach is to first assess opportunities with a modified value stream methodology to identify areas of leverage. Then conducting Kaizen events on these areas to identify and accelerate improvements. Mr. Hemmele has trained and developed 100's of MBB's, BB's and GB's through process improvement projects focused on business results. Clients assisted include AXA, Billings Clinic, Kraft, Westinghouse, Albertsons, Alliant Energy, Heinz, Kroger, Copper Tire, AAA, Delphi. 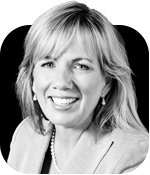 Robin Gates is an executive consultant focused on helping organizations achieve success through systematic process improvement. He has held executive positions in both the public and private sectors. Most recently he was the Vice President – Performance Improvement for Alliant Energy. At Alliant Energy he led a three-year Lean Six Sigma deployment. He was also responsible for corporate-wide project management, performance measurement, and executive performance contracting. His previous assignment at Alliant Energy was as Managing Director – Budgeting, Facilities, and Supply Chain. Prior to joining Alliant Energy in 1999, he held several senior executive positions in Wisconsin State government. These included Deputy Secretary for the Department of Workforce Development, State Purchasing Director, administrator for several large shared services divisions, and Executive Budget Team Leader. Robin has a Master’s Degree from the La Follette School of Public Affairs at the University of Wisconsin – Madison. 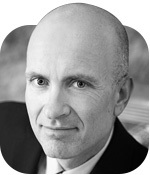 Kurt Woyak has been a leader and innovator in continuous improvement for 20 years. 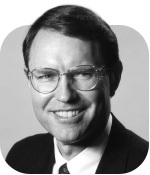 He began leading Lean Six Sigma initiatives in 1996 for Honeywell Int. (AlliedSignal) and was one of their first Master Black Belts. While serving as Director of Lean Six Sigma, Kurt was a pioneer in transitioning what was then a “manufacturing toolset” to administrative and business processes. Mr. Woyak is also a retired USAF Colonel who was awarded the Meritorious Service Medal for successfully implementing Lean Six Sigma in the Arizona Air National Guard, Arizona Army National Guard, and the Arizona Department of Emergency Management. Responsibilities included reducing aircraft heavy maintenance cycle time, Human Resources defect reduction, Emergency Management mistake proofing, and successfully leading Unit Compliance Inspections. Most recently Kurt has been leading and coordinating Lean Six Sigma initiatives in a large rural health care system. Focus areas include hospital, nursing home, and clinic transformation, cash flow initiatives, and progressive inventory management. Mr. Woyak holds a MS from Krannert Graduate School of Management, Purdue University and a BS from Milwaukee School of Engineering. He has also been certified as a Program Management Professional. Shanna Woyak is an executive healthcare consultant specializing in organizational transformation. She has held senior executive positions in both civilian and military organizations. Her most recent positions include Chief Operating Officer/Chief Administrator for the Arizona Heart Hospital, and as Col Woyak, she commands the 152nd Medical Group in Reno, Nevada. With nearly three decades of experience in healthcare, she is a recognized agent of change and has a documented track record of accomplishments that include turnaround of chaotic and struggling operations; start-up and management of new healthcare facilities; creation and launch of new and improved clinical and operational programs; and growth and expansion of mature, established operations. Ms. Woyak’s most recent work includes implementing a comprehensive Revenue Cycle Management System for large 13 hospital system in the mid-west resulting in significant improvements in access management, accelerating cash collection, and improving payer performance. Shanna is a Registered Nurse with a Master’s Degree in Business Administration and Healthcare Management. She has published numerous healthcare articles that emphasize efficiency, quality of care, and positive patient outcomes. Contact us for resources available based upon industry application and skillset desired.